IMPORTANT: This is your TIME SENSITIVE OPPORTUNITY to finally DITCH hustle, screw launches, stop getting on the phone and SELL WITH EASE. If you want to sell more seamlessly, you MUST be seen as an AUTHORITY and VIDEO is the answer to making that happen! MARKET LIKE A NERD: With Video! Leverage High Quality Video From The Comfort Of Your Own Home To Become A Celebrity & Authority In Your Niche, Increase Your Confidence, Grow Your Following, And Create REAL Connections With Them By Providing Compelling Content That Makes Them Buy From You No Questions Asked! WITHOUT spending THOUSANDS on a videographer, right?" But DANG! Videographers are expensive, right?!! If you knew how to create HIGH QUALITY video from the comfort of your own home... and leverage it to increase your authority, grow your following, and turn those followers into clients... would you do it? ... The AUTHORITY you will build when you have name recognition and celebrity status in your niche (because, truthfully, very few people leverage video in this way, so the ones who do... STAND OUT)! ... The CONNECTIONS you will make when your followers can actually see you! ... The INCOME you will be able to generate when your community is dying to say YES to your next offer, no questions asked! Confidence. Authority. Celebrity Status. Name Recognition. A Following. An Impact. Connection. Income. ... Have you ever wanted these things? IN YOUR OWN LIFE. IN YOUR FAMILY'S LIVES. AND IN THE LIVES OF THE THOUSANDS OF COMMUNITY MEMBERS AND FOLLOWERS YOU ARE GOING TO BUILD. The Secret Sauce To Making All Of This Happen Is..
... and worse, I was terrified of PUBLISHING them for the world to see. Once it's out there, it's out there and there's no turning back. That confidence showed up in other places. I became bolder in claiming my value and charging higher prices. I became bolder in investing in my business and taking bigger risks. I became a force to be reckoned with...dipping my toes into speaking on stage, podcasting, interviews, and more! I want you to discover your confidence muscles that you will stretch in every aspect of your business... and discover that confidence THROUGH video! Point blank: it will transform you. 1) I used to HATEEEE the way my videos looked and it bugged the crap out of me. I wanted them to look professional, but couldn't quite get it right. 2) I had to go through buying TONS of incorrect or low quality gear before I figured out which stuff would work best. ....and that's just scratching the surface. ...AND IT WAS WORTH IT! Because GEAR MATTERS! Finding the right video gear has massively increased the quality of my videos... and therefore my CONFIDENCE on camera! This is 150% possible for you... and the great news is that you do NOT have to go through all of the trial and error, years of figuring it out, and wasted money like I did. No more low-quality videos. It's your time to be CONFIDENT in the QUALITY of your videos! I’m ready to learn how to create high quality video from the comfort of my own home. MAKE ME A VIDEO NERD AMANDA! When you first start using video, there's almost this little part of you that DOESNT want people to watch! and the more MONEY you will ultimately stand to make. So you MUST grow your viewership if you want your videos to work. The great thing is that video is COMPELLING and people eat it up - they WANT to watch more of it. That's why within 2 short months of launching my Web TV Show, I already had over 60 Youtube Subscribers, HUNDREDS of viewers sharing my videos from my website, THOUSANDS of loyal email subscribers eagerly awaiting and opening my email releases for new episodes, and HUNDREDS OF THOUSANDS of people seeing my Facebook Lives. I’m ready to learn how to grow my audience, following, and viewership with video. MAKE ME A VIDEO NERD AMANDA! Just like it's not enough to have a big mailing list (you must also get those subscribers to OPEN and CLICK), it's not enough to have viewership. You want your followers to ENGAGE with your content. ... get them to comment. ... get them to share. ... get them to ask questions. ... get them to send you love letters. Before launching my Web TV Show, all I had was a boring ol' blog. And sure, I'd have subscribers send me love notes here and there, but it just wasn't having the IMPACT or the RESPONSE that I wanted. The MOMENT I shifted to video (the right way! ), that changed. I have people commenting on my blogs and videos. I have loyal fans who are sharing my content with their friends on Facebook, Twitter, and through email. I have viewers who show up to each Facebook Live ready to ask questions. That's because video is easily repurpose-able, which massively expands your reach, allows you to maximize each piece of content you create, and let people choose which format they prefer to consume your materials in. I’m ready to learn how to get my viewers to engage with and know and like me. MAKE ME VIDEO NERD AMANDA! It was about finally feeling GOOD about the quality of content I was putting out there. After that, it became about AUTHORITY. I *wanted* people to share that content I had worked so hard to carefully craft for them. I wanted people to remember me for my videos and brand! You can leverage video in many ways: as Web TV Shows, Live Streams, Tutorials, Trainings, and Sales Content. As long as you leverage it the right way, get ready to see the flood gates open because there's nothing more powerful. I’m ready to learn how to get more sales by leveraging video in my marketing. MAKE ME A VIDEO NERD AMANDA! WELL WOOPTY DOO, BUT WILL THIS PROCESS WORK FOR YOU TOO? In this module, you will uncover your confidence and become armed with strategies for how to dive into video even if you're brand new, scared poop-less, or don't have any idea what you're doing. I'll also overview for you the entire process of how to make money from video, that way you know exactly what we're working towards in the program. You will dive right on in and record your "starter" video using my prompt and tips (at the end of the program, you'll compare your video to this starter one to see how far you've come). We will have a LIVE Q+A Session where you can ask Any And All Questions About The Program and Process, PLUS Get Live Feedback On Your "Starter Videos"
In this module, you will receive the inside scoop on ALL of the video equipment and strategies you need to record High Quality Video From The Comfort Of Your Own Home. You'll receive my Geek's Guide To Video Gear PDF outlining all of the equipment you need, along with a video walk through of how to use everything from cameras, stands, lighting, microphones, teleprompters, and more! You will get the gear you need to have a video set right at home that produces high quality video without needing to pay for a videographer. In this module, you will learn how to record high quality video on you phone, including the inexpensive but powerful equipment that you can leverage for video recording on your phone. 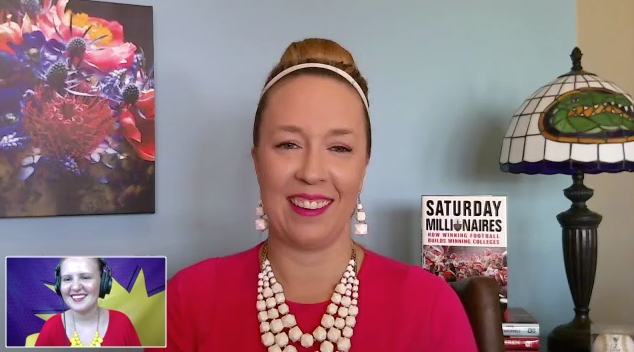 You'll receive my step by step process for Facebook Livestreaming, including scripts, promotional graphic templates, and SOPs that you can plug-and-play into your own business. I'll also teach you how to get your profile verified as a public figure to get access to the Facebook Mentions app. Also included is a full list of call to action and content topic ideas. 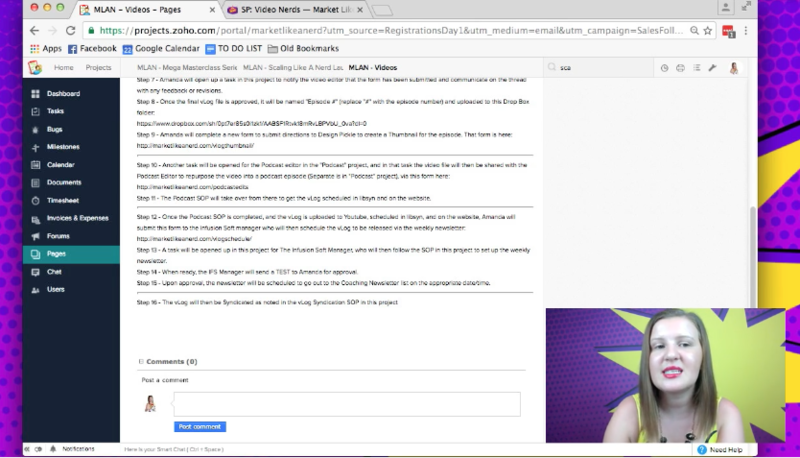 You will conduct an engaging and compelling Livestream for your audience! In this module, you will learn about the different styles of Web TV Shows, how to find your unique style, and the start to finish process of how to create your set, scripts, record your shows, publish and syndicate them, and become KNOWN for you vLog content. You'll receive all of the SOPs, scripts, checklists, and templates I use for myself and my team members to write, record, edit, transcribe, repurpose, publish, and syndicate my videos so that you can plug and play them into your business. PLUS I'll share my Video Editors Directory, full of overseas video editors who you can hire full time for an affordable price if you'd like. You will define your 4 Web TV Ss: Strategy, Style, Set, and Script so that you can begin crafting the authority vLogs you will become known for. In this module, you will learn about how to edit your videos on your computer OR hire / outsource your editing tasks to a video editor. Should you decide to outsource editing, I'll also provide a full list of video editors you may be able to hire from overseas along with the EXACT SOPs I'm using with my own editors to QUICKLY get them up to speed on my process. You will have a working knowledge of video editing software, and also know EXACTLY how to find, hire, and train a video editor should you decide to outsource editing to someone else. We will have a LIVE Q+A Session where you can ask Any And All Questions About Video - Nothing is Off Limits! Whether you want to talk about live-streaming, web tv shows, equipment, editing, repurposing, or catch up on brainstorming from previous lessons... I'll be here for you! In this module, you will learn about how to create high quality screen recordings on your computer, including little tricks that make ALL the difference in the professionalism AND CONTENT VALUE of your tutorials and trainings, as well as what equipment to use and some snazzy secrets to make them POP! You will create a valuable video tutorial or training for your audience (and they will love love love you for it)! In this module, you will learn about how to repurpose your videos so that you are not constantly creating new content, but rather re-leveraging the content you've already made. I'll share my SOPs that I am using with my own team when they are transcribing and repurposing my videos, so that you can rinse and reuse these SOPs yourself or with your own team. PLUS, I'll share tech tutorials for Youtube and creating GIF videos. You will repurpose and re-leverage one of your videos into one of the options I provide. In this module, you will learn about how to turn your videos into lead and sales generators, including how to publish and syndicate your content so that it is consumed by the masses... how to grow your following... and turn your video viewers into clients. You will make a paid offer to your video viewers. We will have a LIVE Q+A Session where you can ask Any And All Questions About Video MARKETING and monetizing your video efforts. POINT BLANK: Everything You Need To Leverage VIDEO To Skyrocket Your Confidence, Create Authority, Grow Your Following, Expand Your Impact, And Increase Your Income! Do NOT Attempt To Sell On Video! Because they were videographers before they were business owners, and don't know really understand HOW to leverage video in a way that is actually useful for you. Because they spend THOUSANDS on video equipment, and don't realize that entrepreneurs have BUDGETS and just want quality equipment at an affordable price. Because they shoot ONE type of video, and don't know how to MAXIMIZE it in other ways, like live streaming, web tv shows, tutorials, and sales videos. I wasn't a videographer... I was - I AM! - a business owner, like you, who has been through the trial and error to figure out EXACTLY how to make video work FOR A BUSINESS. I know the fears you'll encounter. I know the budget you want to protect. I know the people you want to impact. I know how to help you leverage video in a way that doesn't just look good, but also makes a DIFFERENCE. Heck, I'm even the resident Video Expert for an upcoming COLLEGE FAIR where one professor asked me to make a difference in the lives of aspiring entrepreneurs. Your turn to Claim Your Confidence... Establish Your Authority... Become The Celebrity You Were Meant To Be... Grow Your Following... Make An IMPACT... And YES! Make Money Too! And you don’t have to go it alone! …all for just $497 or 3 payments of $165.66! In case you didn't catch that, there is NO FINANCING FEE if you choose the payment plan. That's because I believe the value of the program is what it is, so your payment option shouldn't change that. I also believe that if you are struggling with income, a payment plan is the best option for you to preserve cash flow, so it is RESPONSIBLE of you to choose the 3-pay if that is a concern, and I do not want to punish you for doing what a responsible entrepreneur should do. So, whether you want to get it done and over with in one payment of $497 or you want to preserve your cash flow with the 3-payment option, the investment is the SAME! 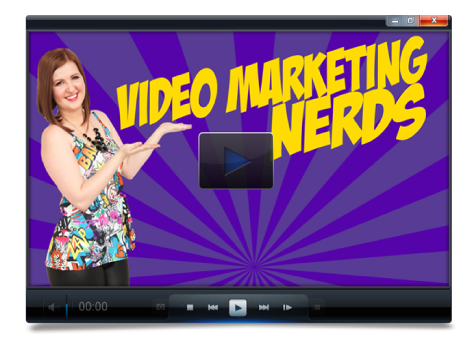 QUESTION: What is the Video Nerd Authority Selling System and Coaching Program all about? ANSWER: I am all about teaching entrepreneurs how to create a business that not only makes them money, but also makes them happy. I know personally how freeing and transformational video can feel for an entrepreneur... being able to master video has not only made me money, but has also skyrocketed my confidence and therefore happiness in my business. This program is about more than just making video that looks good... it's about transforming yourself through camera and impacting hundreds of thousands of lives around the globe by sharing your message in the most powerful form of online communication: video! QUESTION: Who is this program for? QUESTION: I thought you were a marketing coach? Why are teaching about video? Are you a video marketing coach now? ANSWER: I am indeed a MARKETING COACH and "video marketing" is one of the strategies I leverage to grow my business. In fact, I believe this makes me MORE qualified to teach you, because I won't be looking at video one-dimensionally, but rather I'll be positioning my teaching from the standpoint of how it can impact your business and marketing as a whole, and play into the other marketing systems you likely have in place (or should). QUESTION: What makes you qualified? QUESTION: When does the program start? And how long does it last? ANSWER: The program starts on 9/19 and "officially" lasts for 8 weeks, however I have added a couple weeks of "catch up time" as well as an additional week of live Q+A in case anyone falls behind. Therefore the last date will technically be 11/22 (right before Thanksgiving). QUESTION: How does this course work? 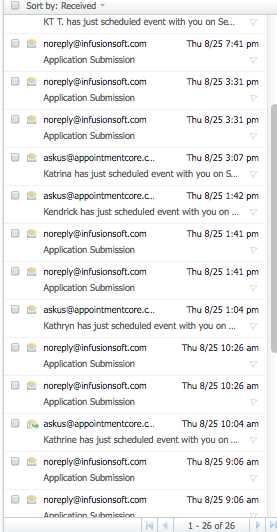 Do I get access all at once, or is it sent out over time? ANSWER: Because I am completely committed to client results, I design my programs intentionally to create the best and fastest results possible. After much trial and error I have found DRIPPED content (that is "dripped out" or released over time) is BETTER for clients. Therefore, rather than releasing this all at once and overwhelming you, you will receive one module at a time. QUESTION: Do I get one on one time with a coach? ANSWER: There will be plenty of time to get your questions answered and even to personally brainstorm your video sets, scripts, etc custom to you. While that will not be done through a 1-on-1 platform, the Live coaching Q+As will be more than enough... I know this from experience running many other group programs. QUESTION: How is this different from other video programs out there? and the last does not touch on repurposing, marketing, or video systems and SOPs, so many of the important topics are left out (this one also appears to no longer be active or available). QUESTION: How much time will I need to commit to this program? ANSWER: Each module will be about one hour, as will the live Q+As. Therefore I suggest you allot 1 hour per week for content consumption, 1 hour per week for taking action, and 1 hour per week for asking questions... for each of the 8 weeks of the program. QUESTION: When will you offer it again? Why should I sign up right now? ANSWER: At this time, I do not anticipate ever running this live again and I am not sure if I will make the program material itself available in the future, so I recommend deciding as if this is a one time only offer. QUESTION: What is your refund or guarantee policy? ANSWER: I am 100% committed to helping you create high quality videos that you are happy with, that impact your clients and followers, and make a difference in your business. This is a refund-free zone. You won't be able to fake it and hope you make it in this program. Sorry friend, but you can't half-a** the modules and tell yourself you can always just ask for a refund if it doesn't work out. I have an entire webinar just on the topic of how I intentionally craft my content to get A+ client results... I genuinely put A LOT of time, thought, effort, and planning into knocking the experience out of the park for you. And so, YOU have to be willing to hold up your end of the deal. Deal? Let’s pinky promise! Put in the effort, follow through with the system I teach you, and we will create success together. QUESTION: What is the investment? Are payment plans available? ANSWER: To join is just one payment of $497 or 3 -payments of $165.66. There are NO financing fees, so if you want to preserve cash flow, I recommend snagging the 3-pay option as there are absolutely no penalties for doing so. 1. This investment point puts this information within the reach of everyone…from newbies to millionaires... and since I'm not planning on running this again, that's important to me to make a difference in as many lives as possible. 2. It weeds out the lookie-loos who are just trying to get cheap or free advice, steal my stuff, and not make a difference. 3. Whenever I run something for the first time, I typically put it at a lower price point. Then once I've proven over and over again that the system works for multiple clients, and I can gauge the return on investment that clients should expect, I increase the price accordingly. So, you're on the lucky end of my price testing experiment. QUESTION: How long will I have access to the content for? ANSWER: Your program content access will be life-time and you will also receive life-time access to any UPDATES I do to the content for free (meaning, no need to re-purchase if I change the modules or re-run the program). QUESTION: What if I still have questions? ANSWER: Shoot me an email at amanda@marketlikeanerd.com - I'll answer personally! Or, if you prefer, you can message me on facebook at http://facebook.com/agp825 - that's my personal profile and I'm very assessable there as well.